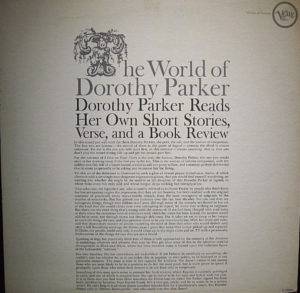 At the time of the recording sessions, Mrs. Parker was 63 and 71. 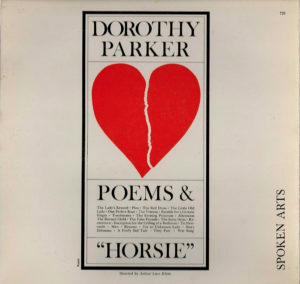 Her voice ravaged by years of Chesterfields and Johnny Walker, this offers a peek at the real Mrs. Parker. She died three years after recording her second LP. Special thanks to Jon Snyder and Catherine Chodack for loaning me their LPs. 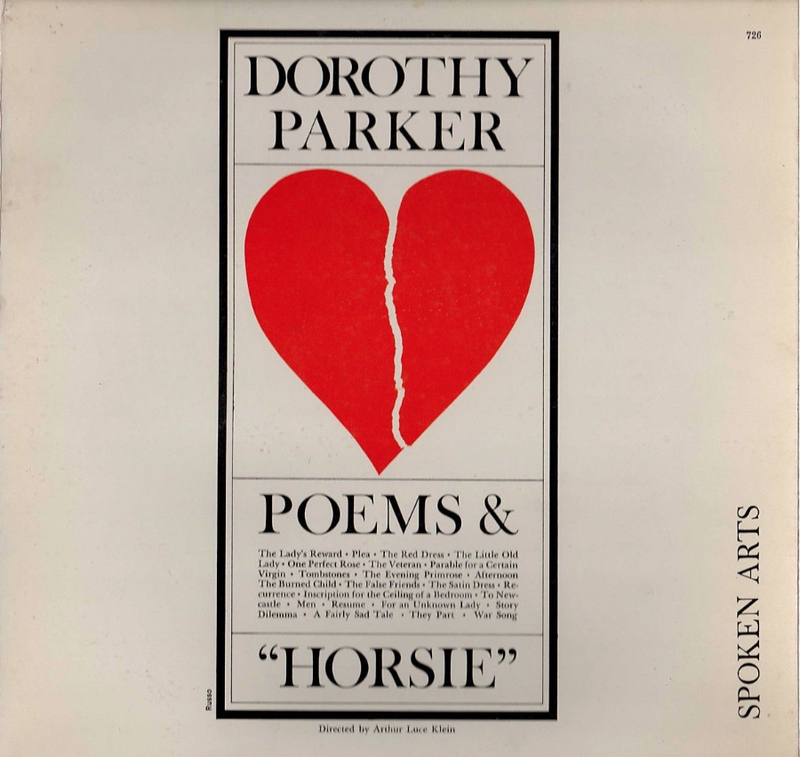 Note: The NAACP owns the copyright to Dorothy Parker poems, so copying these tracks for commercial use or performance is prohibited. This also applies to public performance on radio and television.